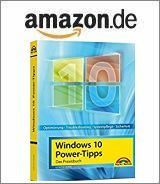 [German]On October 3, 2017, Microsoft released a series of non-security updates for Microsoft Office 2013 and Office 2016. This blog post provides an overview of released updates for Office 2013 and Office 2016. The updates refer to the installable MSI version of Office, not to the Click-to-run packages that update through other channels. These non-safety relevant updates are documented on this website and in the linked KB articles. Here is the list of updates. Update for Microsoft Access 2013 (KB3172543): This update improves the translation of the Allow Full Menus option for the Danish version of Access 2013. This update improves several translations for the Danish and German versions of Excel 2013. After you update or refresh a PowerPivot table, the formatting disappears. When you export a PDF file by using the Visio 2013 drawing control in an application, the PDF file is pixelated because it’s raster-based instead of vector-based. Any metafiles (.emf) in the original Visio content is rasterized instead of being emitted as vector instructions. This issue occurs after you install the July 11, 2017, update for Project 2013 (KB3213538). Update for Microsoft Access 2016 (KB4011142): This update improves the translation of Allow Full Menus option for the Danish version of Access 2016. Update for Microsoft Office 2016 (KB4011167): This update fixes an issue in which the decimal tabs in Word 2016 don’t respect the regional format that you have set in Windows regional settings. Update for Microsoft PowerPoint 2016 (KB4011164): This update adds support for multiple items selection in the dialog box when you open links by selecting Edit Links to Files in a presentation in PowerPoint 2016. Update for Microsoft Project 2016 (KB4011141): Contains the following bug fixes. Assume that you have a Project Server 2016 and Project Professional 2016, when you save a project that’s connected to the Project Server, you may receive the following error message:Change would modify work entered by a team memberWe can’t make that change because Project Web App is set to only allow actual work to be entered by team members through Timesheets or My Work. Das Problem trat nach Installation des July 5, 2017, update for Project 2016 (KB3203476) auf. We can’t do that for you because the file is no longer checked out or has been deleted. See also my blog post Word 2016 Table bug in KB3213656/KB4011039 confirmed for the last fix. This entry was posted in Office, Update and tagged Office, Patchday, Update. Bookmark the permalink.